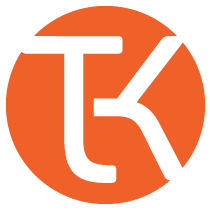 Graphic Designer at ThinkingKap Learning Solutions, Inc.
At ThinkingKap, we understand that part of what makes great courses is that they're also great LOOKING courses. We pride ourselves on clean and contemporary design that supports the learning experience for our clients. The ultimate goal is to create beautiful courses that align with client requirements and enhance our engaging courses. We're continuing to grow, and as such, we are looking to add a professional eLearning Graphic Designer to craft outstanding visuals for our compelling learning experiences. This role is a full time contract position (1099), with the possibility of transitioning into a permanent full time role with ThinkingKap. You will be designing a wide variety of learning-related media. To be successful in this position, you’ll be a self-starter, capable of delivering brilliant creative ideas, and show amazing attention to detail.